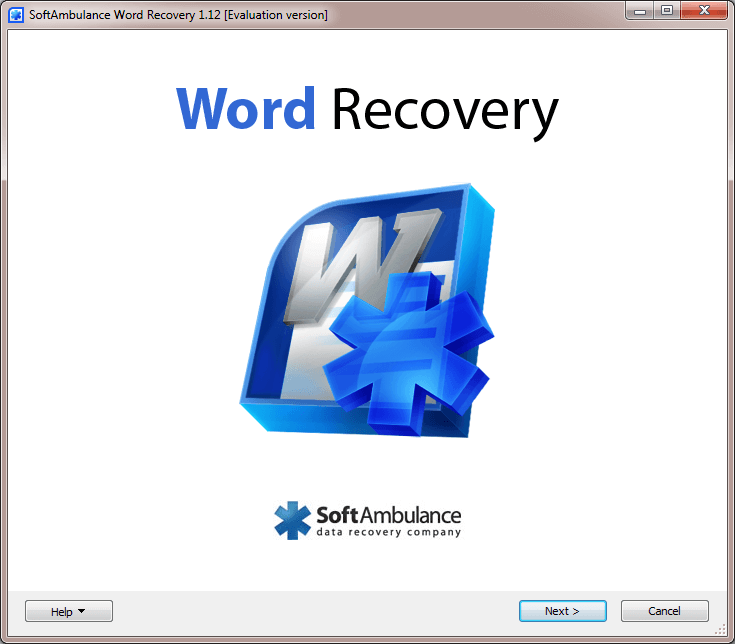 Word Recovery offers you a new approach to recovery process, involving innovations that provide you with unbelievable efficiency. If a deleted file is not presented in a file system, it addresses your hard disk directly in order to locate MS Word files. Using a list of such signatures as .RTF, DOCX, DOC makes it possible to locate the beginnings and endings of MS Word documents, allowing successful data recovery even from a severely damaged hard drives. Recovery is equipped with full preview function, allowing you to evaluate recovery results before the procedure is fully executed. Multiple filters help to minimize search time and efforts. 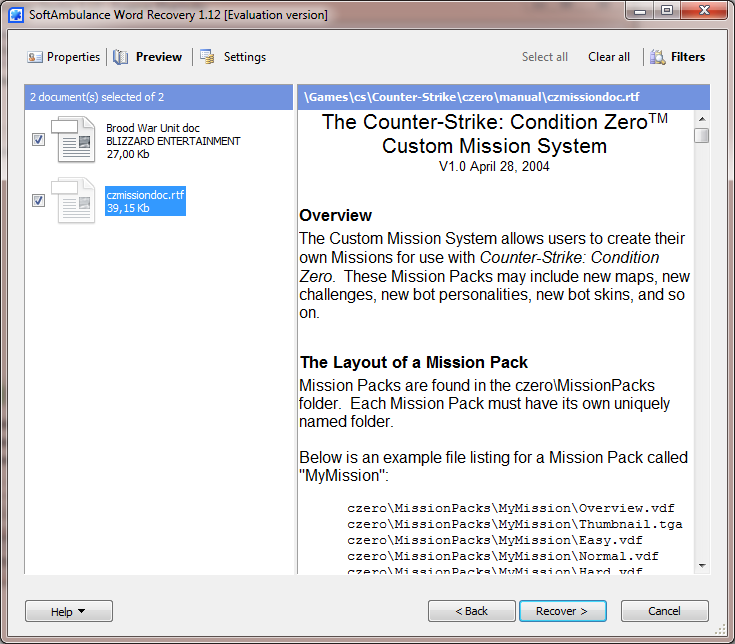 safely recovers any Word file from any type of storage media almost disregarding condition and damage of the media. Supports all Microsoft Word file versions plus Apache Open Office/Star Office Writer and Corel WordPerfect files. after repartitioning your drive all data is deleted as the whole structure of a file system is deleted, and all files stored on this drive become trash that no one can get a control of. We can! 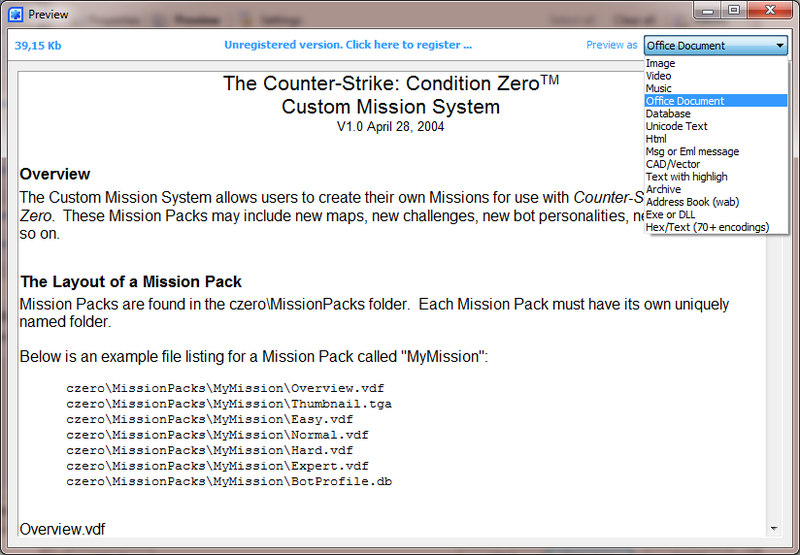 this feature is available in all our software products. 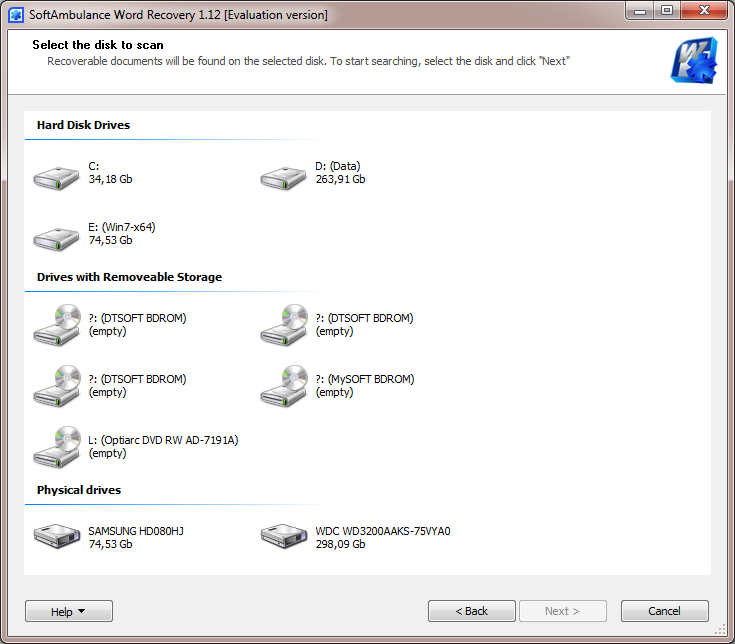 It allows you to recover data even from almost “dead” disk. If your hard drive still spins and can be detected by operating system, our software can read and detect even totally unstructured data. usually when you need to recover data, its size appears to be so big that can't be stored on the same computer. So we suggest alternative ways for saving data being restored: to burn it to CD or DVD, to download it to FTP or to use as a virtual disk. our products support NTFS till the last bit from version 1.2 and higher. Such a strong integration guaranties the best possible recovery results because we use all the advantages of NTFS v.3.0 and 3.1 that provide reliability and security, making them work for your welfare. the backbone of all SoftAmbulance products. Searches and restores deleted files within a file system. It works very precisely that results into high quality of restored files. Indispensable when it comes to data loss, very aggressive viruses action, childish pranks or your competitors operation. reads and restores FAT file system. It's used in memory cards, mobile devices, players and computers. Despite being far from perfection and pretty old FAT is still popular and will remain being used for at least 5 years. VFAT, FAT12, FAT16, FAT32 are supported. this is our patented technology designed to read unstructured data from a disk with the following detection of certain file types. At present more than 150 of various file formats are supported. We try to cover different needs from multimedia to office file types, including very specific 3DStudio Max, CAD|CAM and many others. Moreover, their number increases continually, and we try to meet our customers' requirements with adding new file formats being supported. all our products are designed to be integrated with various devices, that can be installed in PC and connected to it via different ports and interfaces. Practically all devices are supported: from memory cards and USB flash to external HDD and TWAIN digital cameras. as opposed to the majority of data recovery software on the market, our products make it possible to preview restored files before you purchase a product and save a recovered result. Thus you avoid buying pig in a poke, but have an opportunity to check if it's exactly the “pig” you need! Please note: you need a disk space to save recovered data and it should be on the other disk you are recovering data from. Outlook Recovery locates and repairs corrupted Outlook databases.